The 2019 COExperience is for more than those who are already working with Dassault Systèmes (DS) solutions. The event, being held February 24 – 27, provides an opportunity for the academic community to enhance the education they are already receiving, network with industry professionals and show their work to potential employers. 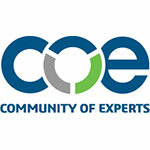 In collaboration with DS, COE is able to help fund over 70 students to attend COExperience. The opportunities for students include the chance to share their work at a professional conference through the David M. Aber Scholarship Competition, engagement with potential employers and mentors, interaction with fellow students in the industry and much more. As a sophomore at Purdue University studying virtual product integration, Logan Boyer, will be joining COE for a second year at COExperience due to the positive experience he had in 2018 after being recommended to go by a professor at Purdue. Needless to say Logan is looking forward to what this year’s COExperience will bring. In addition to the opportunities for students and COE member employers, schools and professors have an opportunity to attend COExperience to network, discuss happenings within the Dassault Academic community with other professors using their solutions, improve their ability to develop top-notch engineers and technologists for the PLM industry, and more. Learn more information about students and academic community engagement at COExperience.